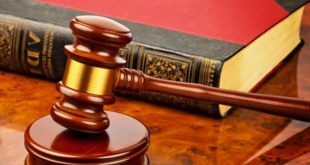 GOVERNMENT has threatened to deregister civic society organisations which it claims are dabbling in politics and are seen as hostile to President Emmerson Mnangagwa and his ruling Zanu PF party, in a throwback to the dark days of former ruler Robert Mugabe. “We are not at liberty to disclose the names, but we are warning them and say they must stick to their mandate,” Kazembe said. 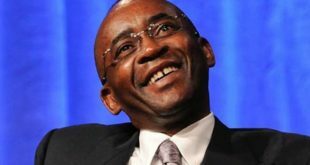 Zimbabwe had a love-hate relationship with NGOs during Mugabe’s brutal 37 years in power, and he frequently de-registered them, accusing them of supporting the rival MDC party despite relying on them to distribute food aid and maintaining social services which his broke government could not afford. In April 2007, Mugabe de-registered all NGOs and told them to submit new applications as he sought to weed out ‘hostile’ groups as the country prepared for the 2008 elections. Five years later, he suspended 29 NGOs in Masvingo, including Care International, citing registration irregularities. Zanu PF has previously attacked NGOs at its annual conferences too, and after the 2005 meeting recommended a crackdown on NGOs which it claimed were aligned to the MDC. This year’s ruling party annual conference started on Monday at Umzingwane High School in Esigodini, near Bulawayo. 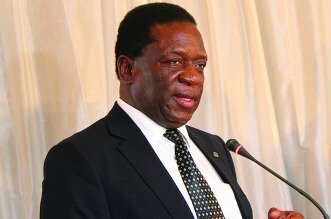 Mnangagwa has endured a difficult four months since winning a disputed election held on July 30, which regional and international observers noted suffered from a democracy deficit, and revealed a deep polarisation of the country. Since then, inflation has raced into double digits while the scarcity of the United States dollar, which the country adopted in 2009 after ditching its inflation-ravaged currency, worsened, leading to shortages of basic goods and fuel. He has also struggled to bring in new investment despite changing the controversial empowerment laws and hosting a series of conferences in Africa and abroad. Unemployment is seen at around 90% and discontent is spreading among government workers, with doctors in public hospitals on strike for the past 10 days while teachers are marching from Mutare to Harare on foot in protest for better salaries and working conditions. NGOs were among many local and international organisations invited to observe the July 30 elections, and their opinions were unflattering. Zimbabwe has nearly 400 registered NGOs, according to local data. Information minister Monica Mutsvangwa also told journalists that Cabinet had discussed the on-going industrial action by junior doctors, which has reached the 10-day mark, and authorities were pleading with medical practitioners to return to work while their grievances were being looked into. Cabinet, according to Mutsvangwa, ruled that the strike was illegal and said doctors should “respect the sanctity of life”. Energy minister Joram Gumbo, according to Mutsvangwa, also briefed Cabinet on the state of fuel supply in the country, which he said remained constrained. “Cabinet noted with concern that some unscrupulous individuals were purchasing in jerry cans and reselling it at extortionate prices to the general public,” Mutsvangwa said. Cabinet did, however, not discuss proposals by fuel dealers to sell in foreign currency as a way of alleviating shortages. Cabinet has also approved an increase in wheat prices to $630 per tonne, up from $500 the previous season. Finance minister Mthuli Ncube said Cabinet was, however, encouraging bakers and millers to establish outgrower schemes to ensure productivity and consistency in supply.